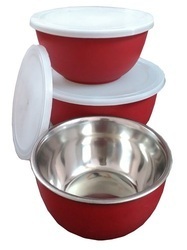 We offer a wide range of Tango Gift Set Small Plastic Lunch Box. Capacity: 3000 ml, 2000 ml, 1000 ml, 600 ml and 400 ml. High plastic today can replace traditional metal like Aluminum in baking application. 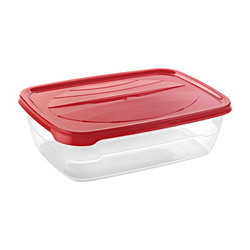 Plastic available can take 220 degree for specified time for most of baking application. Advantage no metal particle in food, complicated and innovative shape possible, easy and light weight to handle. Can be made use and throw.